Dear visitor, welcome to our website! Brandl Motor is an enterprise that concerns itself with 'farming' energy from ocean waves. On this website, you will find information about wave energy, our innovative developement, and about your opportunities of participation. If you have questions, suggestions or you like to have further information, please make use of the contact site. 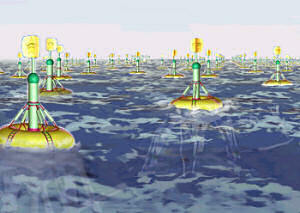 With the technology of power generation from ocean waves, a clean power supply at moderate costs could be achieved. Without air pollution and the disastrous consequences of an impending climate change. Please support this promising and clean technology!